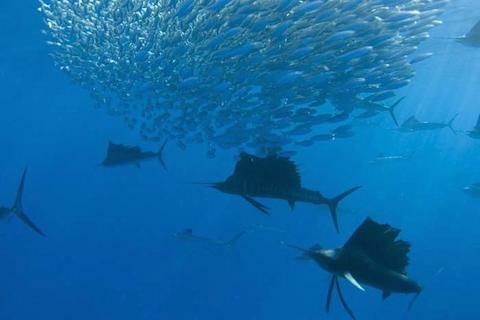 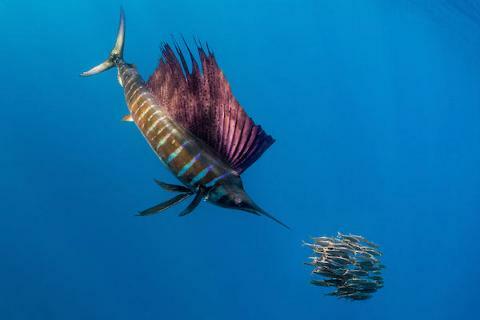 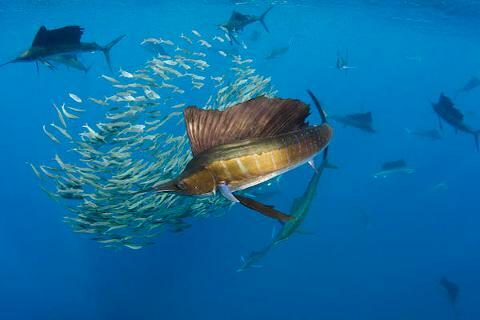 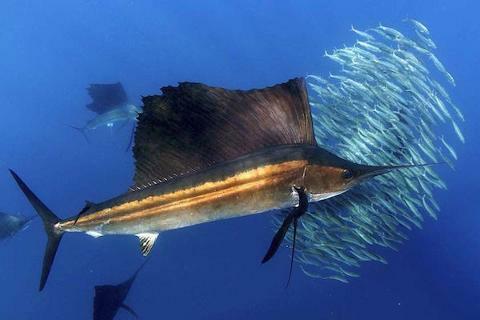 Sailfish are the fastest fish in the ocean with recorded speeds of up to 110 km hour. 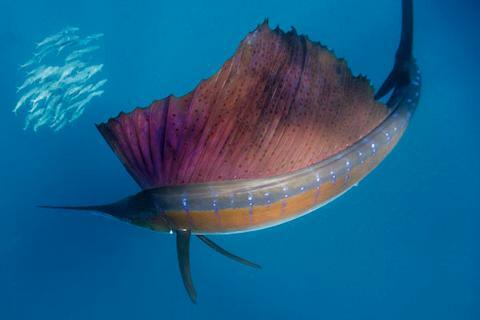 They get their name from their spectacular dorsal fin that stretches almost the whole length of their body. 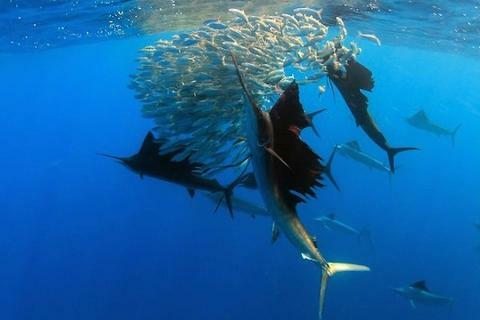 Blue-grey in color with a white underbelly, they can grow up to 11ft in length and weigh up to 220 pounds. 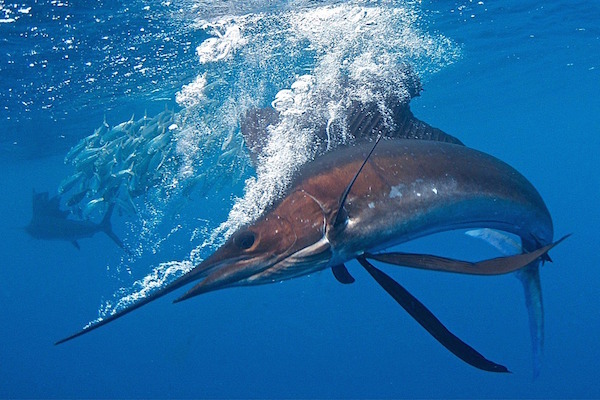 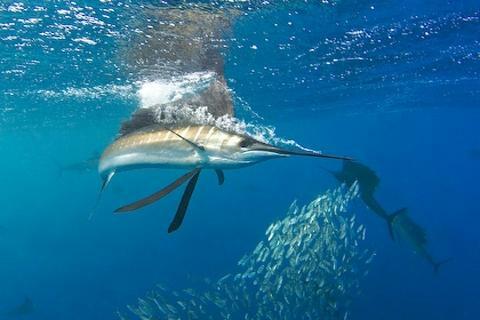 These powerful creatures are members of the billfish family and can be identified by their distinctive spears.